Karen Friedman, founder of the Rimon center. The women sitting silently in the hospital waiting room are all riding the infertility roller coaster. Some tap on their phones, others read, most simply sit. Their ages span 20 years, and they are of several faiths and varied ethnicities. All of them, however, yearn to bear a child and, for this, submit to months of shots, screenings and testings, drugs and hormonal surges, egg retrieval and embryo implantation—hoping for good news and ready for heartbreak. They are anxious, highly stressed and often depressed, their self-esteem fragile. One in eight women is diagnosed as infertile, with the cause unexplained in a fifth. It is in this latter group that pioneering Harvard Medical School professor and psychologist Alice Domar, Ph.D., has found that mind-body programs not only ease psychological symptoms, but also boost pregnancy rates. Twenty-five years ago, use of relaxation strategies to enhance fertility was soundly derided. Today, such techniques are routine in leading American fertility clinics. “We named it Rimon because the pomegranate symbolizes fertility,” says American-born Friedman, who moved to Israel 25 years ago with a Harvard Ph.D. in developmental psychology, a husband and a baby, whose seven siblings were later born at Mount Scopus. Based on Domar’s model, Rimon, which offers a range of mind-body programs, is unique in Israel. Open at no cost to all women in IVF treatment, Friedman sees it as an example for all Israel’s hospitals. While the initial response is often: “I don’t need support. I am coping on my own,” by the end of the conversation many agree to come to one of Rimon’s mind-body therapy or yoga groups. A mind-body discipline comprised of physical postures, breathing techniques and relaxation, yoga originated in India over 2,500 years ago but has been widely practiced in the West only in the past few decades. Initially no more than physical exercise, it has increasingly become a way in which patients dissatisfied with conventional medicine seek to take control of their own health. Researchers have followed closely on their heels with studies conducted to determine the effectiveness of yoga as a complementary intervention for conditions as diverse as cancer, schizophrenia, asthma, heart disease, high cholesterol, back pain, arthritis, insomnia, anxiety, depression, posttraumatic stress disorder, stress and even the common cold. Yoga is no magic cure-all, but it may help modulate the body’s stress response. While stress is a normal psychological and physical reaction, with the fight-or-flight alarm system hardwired into our brains, modern life can be such that the alarm system rarely shuts down. And the resulting high levels of stress with which we live have been definitively linked with an array of serious health problems. 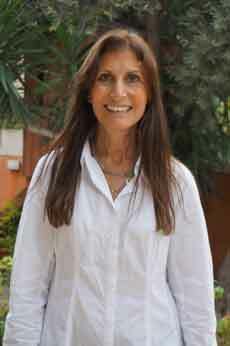 Kaden Harari, like Friedman an American ola, is one of Rimon’s yoga instructors. “Yoga helped me with a back injury,” she says. “I realized how much it can [help with] many aspects of a person’s life, and I could not keep it to myself.” She qualified as a teacher and decided to teach yoga to patients undergoing fertility treatments. In 10 weekly, 75-minute sessions, she teaches techniques that calm the body and increase blood flow to the reproductive organs. “In times of extreme anxiety, our bodies shut down the reproductive and digestive systems,” says Harari. “Adrenaline, cortisol and prolactin levels rise and inhibit the main reproductive hormones—progesterone and gonadotropin-releasing hormone. It is this vital peer support that has prompted Friedman to launch yoga courses for ultra-Orthodox women undergoing IVF. “The pressure of infertility on this population is immense, but they were not open to Rimon,” she says. Friedman first had to get approval from Jerusalem-based Torat Hamishpacha, which researches the intersection of women’s health and fertility issues and Jewish law; many Orthodox women turn to the organization’s anonymous hotline with fertility questions. For Friedman, the ultra-Orthodox groups are only a beginning. She wants to introduce a half-hour of relaxation therapy for every woman immediately prior to embryo implantation as well as open groups for couples, with icebreaker cooking classes as their first and last sessions. “Men are often bewildered by the stress levels in their partners, and women need help understanding that men are also stressed,” she says. “The more empathetic the men, the more time and space the women are able to give them. For Harari,who has been married for 30 years, the work has special poignancy. “I underwent IVF treatment myself with no success,” she recalls. “There was little awareness then that yoga relaxation breathing could help. I have worked hard on myself to reach the point where I can treat women for infertility and take joy in supporting them through their IVF ordeal. If only there actually was a stage called embryo implantation! It’s called embryo transfer, and any woman having to deal with the unfortunate plight of infertility knows this. It’s the ignorance of the outside world that assists with the stress felt over the situation. Get your terms right, or the people with whom you are attempting to sympathize will feel that much more frustrated and misunderstood.